Sometimes it’s a bit tricky to encourage children to read, especially in today’s world when fierce competition comes from television, video games and everything and anything that can be found on the internet. However, we know that reading is powerful. Time spent with a book inspires imagination, creativity and increases literacy. This post originated from an inquiry of a reader, Marisel. 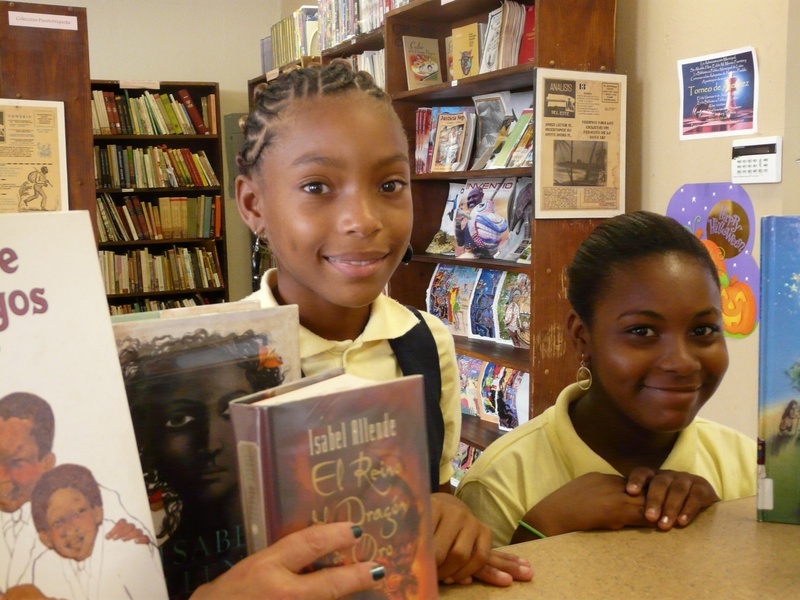 Last month she contacted Los Afro-Latinos for a listing of children’s books about Afro-Latinos. We were intrigued by the proposal. I reached out to Daniel Pizarro (in above photo), Head Librarian at Biblioteca Pública de Loíza (The Loiza Public Library) for recommendations. Considered the center of Puerto Rico’s African heritage, Loiza maintains strong cultural traditions originating with the island’s African descendants. I knew Daniel was the right person to ask for suggestions and I think you will agree after reading his thoughtful response. We are extremely grateful to him for compiling this list. The books listed are in English and in Spanish. Whatever your child’s language preference, Happy Reading! As per your request, I must admit that it was both a pleasure and a true challenge. As you are aware, our limited resources and available space for books forces us to be very selective about our book collection. We do receive plenty of donations, but it is still hard to locate and acquire certain books, especially those that address the issue of heritage and cultural pride. However, your request forced us to look more carefully for such books. In the end, it seems that we did find some interesting materials for your consideration. Of course you know that we puertorricans are VERY proud of our national sport: Baseball. Almost every kid we encounter has played or still plays it (baseball) and we are all inspired by the accomplishment of our local talents that have made it into the professional leagues. And since here at the public library we use our client’s natural interests to motivate their pursuit for information, we keep handy such books that appeal to their search for positive role models. Ally: can you indent, number or list the books. It’s hard to distinguish one from another as is. The Biography of Albert Pujols, by Richard J. Brenner (2007) East End Publishing, Ltd.
!Béisbol! 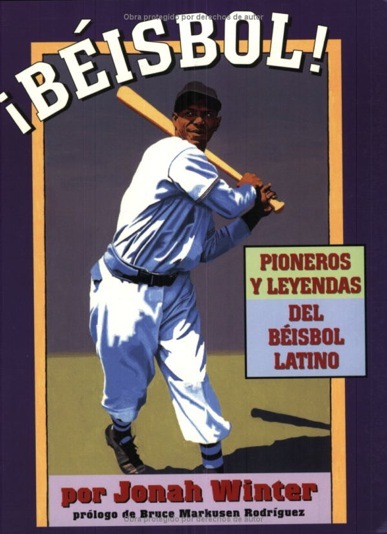 Pioneros y Leyendas del Béisbol Latino, by Jonah Winter, translated by Enrique Del Risco (2001) Lee & Low books, Inc.
Each of the first three books resumes biographies of Afro-Latin baseball stars that have achieved great success in the big leagues. They explain the athletes’ backgrounds, their best attributes, provide information about their professional careers and even some statistics. But the true power of such masterfully designed books for children is that they present our kids with the possibility of achieving their dreams, even considering their present limitations. It’s a whole lot easier for our children to identify themselves with their heroes when they can relate to their origins. These books teach them about the effort and discipline that it takes to achieve great results, and most importantly they provide positive role models for them to follow. The book !Béisbol! is especially dear to us since it addresses directly the issue of how afro-latin baseball players like José Méndez, Cristobal Torriente, Martín Dihigo, (among many others) had to overcome numerous obstacles to finally succeed in the professional leagues. It explains how many of them didn’t even speak English, suffered from racism, and were treated as second class citizens. However, it teaches us about how thanks to these players (and their sacrifices) Latin American players are a dominant force in the game today. Another book we also consider a true treasure is: Herencia Africana en Puerto Rico: Un Recuento Breve by Adolfo R López, Editorial Cordillera 2003. This brief publication is an attempt to familiarize students with the culture, history and key facts and contributions of black men and woman from Puerto Rico. It begins with recall of the Africa’s most important history facts, the slave trade and the abolition of slavery. It also address the mixing of races, and the many ways in which blacks have and continue to influence Puerto Rican culture in the arts, literature and civil affairs. This beautiful book is intended to stimulate the curiosity of students, and to cultivate feelings of admiration, respect, appreciation and pride for our African heritage and its importance in our daily lives. But by far, one of our most prized possessions in this subject is the book Aventuras de la Juntilla by Lcdo. Marcos A. Rivera Ortíz, Terranova Editores (2006). 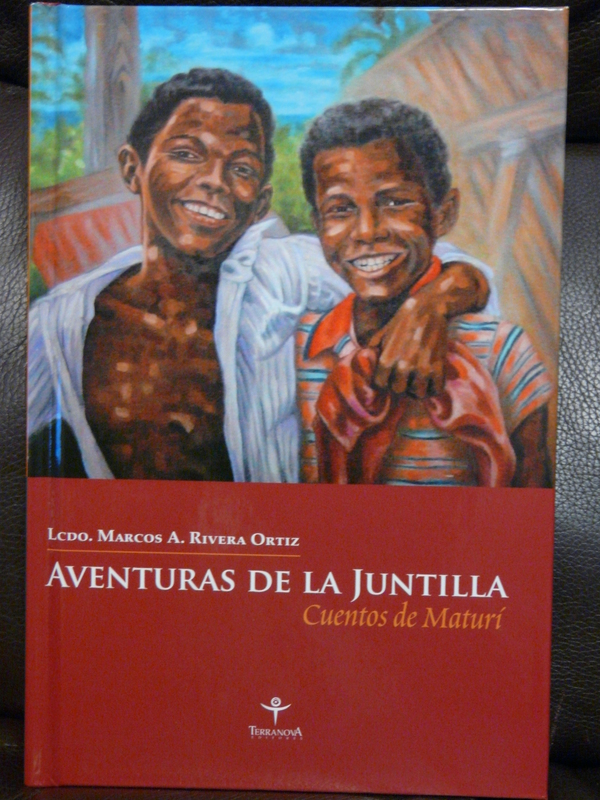 In his book, Mr. Rivera, a well known local lawyer and writer, attempts to document his own memories about his childhood in Loíza, Puerto Rico before they are “lost forever.” This beautiful mix of short stories that have been passed form generations to generations, memories, fiction and reality is meant to provide our kids with something that they can truly relate to. This unique example of juvenile literature is hard to find, since most of them, especially adventure books are usually foreign made. And hence its beauty; it’s an opportunity for young lectors to connect to literature and to understand it as a mirror of its own reality, to form a critical perspective and to experience diversity. It deals with issues such as poverty, racism, alcoholism, child abuse, immigration, and school desertion, among others. Hope that these references are kind of what you were looking for. If you need anything else, please don’t hesitate in contacting me. Take care!